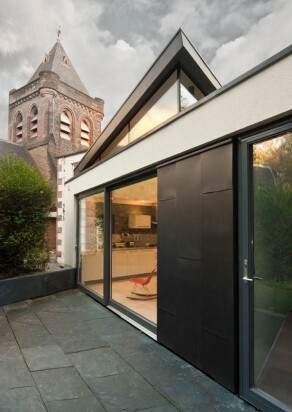 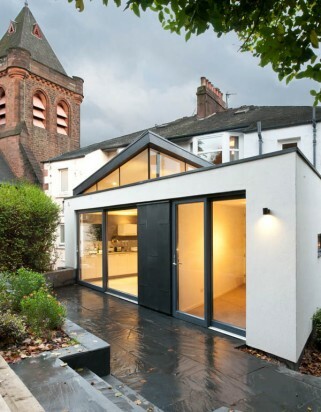 An extension to form a new kitchen and study at the rear of a stone built semidetached house in Glasgow’s west end. 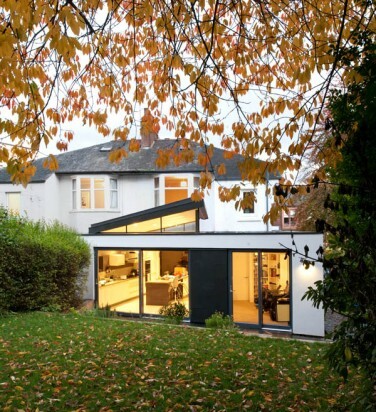 As the rear of the house faced north, the roof was angled and glazed to capture the afternoon sun, and the garden was reorganised to allow direct access onto the terrace via sliding glazed doors. 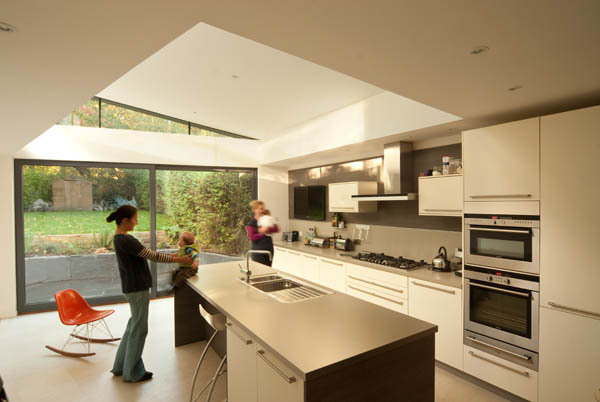 The enlarged space has become the place where the family spend most of their time, and maximises the relationship between the house and the garden.